At its meeting on 2nd June in Kilbandon Church, Isle of Seil, Presbytery elected Rev Dr Kenneth Ross as its Moderator for 2015-2016. Ken Ross is Minister of Netherlorn, which includes Kilmelford, Craignish and the islands of Seil and Luing. In his address to Presbytery, Ken spoke of the need to embrace the new perspective offered by the Holy Spirit – not of fear, but of power, love and self-control. For Argyll Presbytery, this means offering leadership – the challenge of mission. It means caring for one another, both as individuals and as congregations. And it means imagination and adventure. 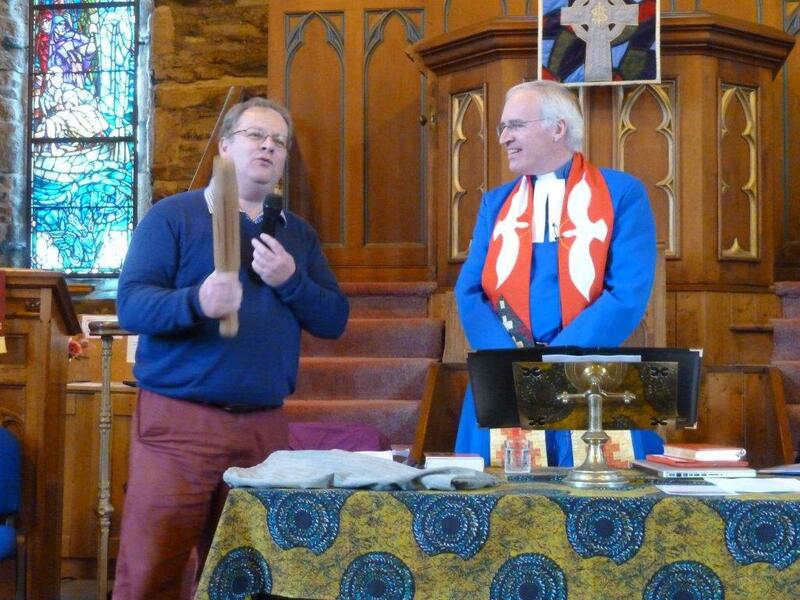 Dr Ross is pictured below being presented with the Eco-Congregations Baton by Rev David Carruthers, Minister of Ardishaig; the Baton was in Presbytery’s charge for a day, on its way to the UN climate change conference in Paris in December 2015.